I’ve been writing my memoir for a while now, and sometimes feel like that story happened to someone else. It seems so far removed from my suburban life now. 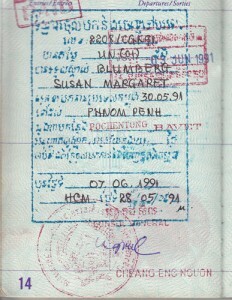 But when I stumbled upon this old passport, it suddenly felt real again. 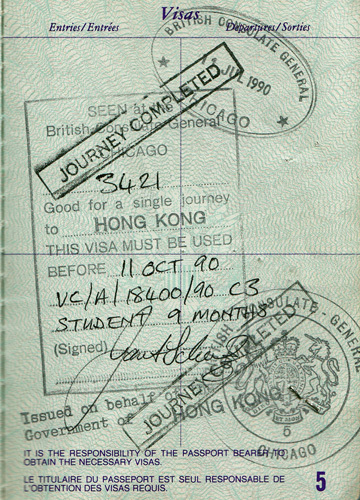 Here’s my first visa to Hong Kong. 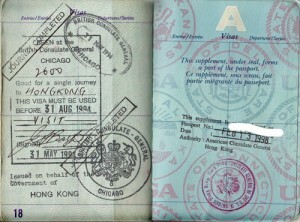 Note that it was issued by the British Consulate General in Chicago. A little piece of history. 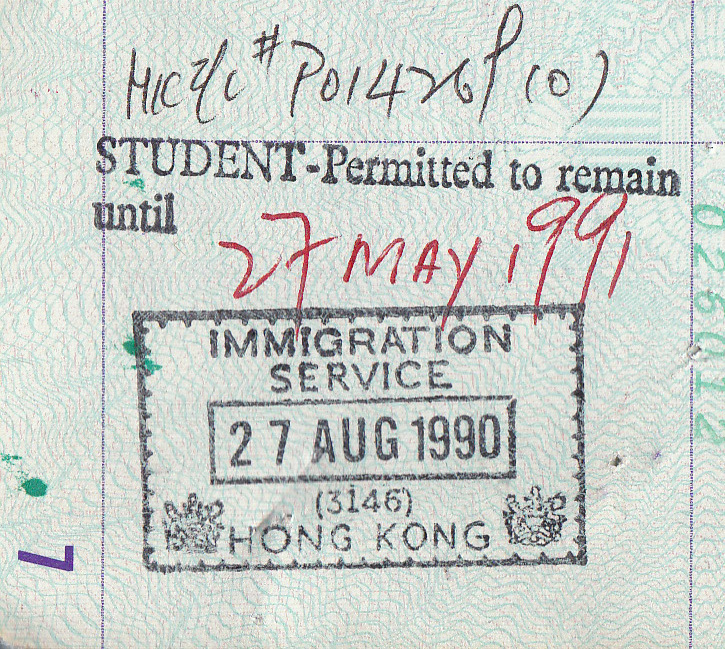 So this visa allowed me to stay in Hong Kong to study for 9 months once I stepped foot in the colony. The process was nothing like what it is to get a Vietnam visa online, I had to jump through so many hoops, I’m glad I made it. 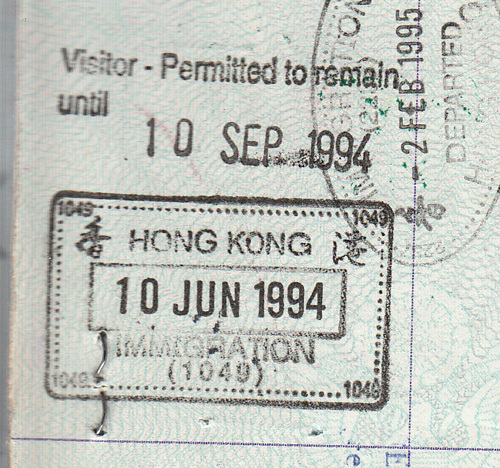 But no one told me that it would no longer be valid if I left Hong Kong before my 9 months finished. 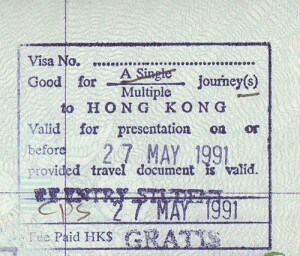 Thus this multiple re-entry visa, which I acquired on my first day in Hong Kong. What a great way to learn the ins and outs of the Wanchai Immigration Tower. 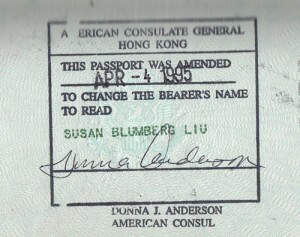 I won’t bore you with all the visas I acquired traveling around Asia, except for this one. 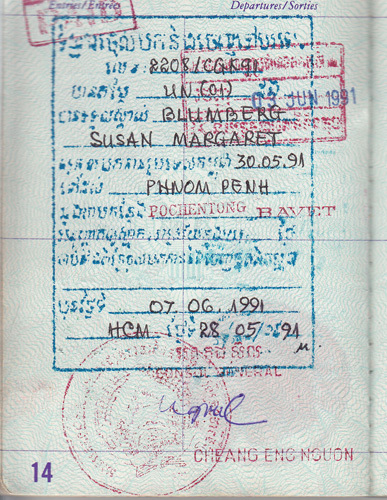 Cambodia, 1991. I picked this baby up in Saigon. 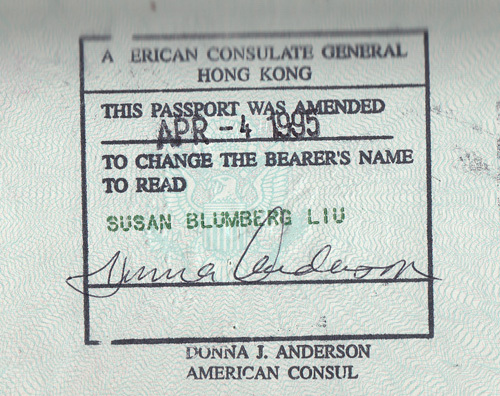 It should also be noted that I had a Vietnam visa, which was a separate piece of paper. The Vietnamese took it back when I left the country; they didn’t want me to get in trouble back in the US for trading with the enemy. Fast forward a few years. I’m back in Hong Kong, this time for good. Or so I thought. 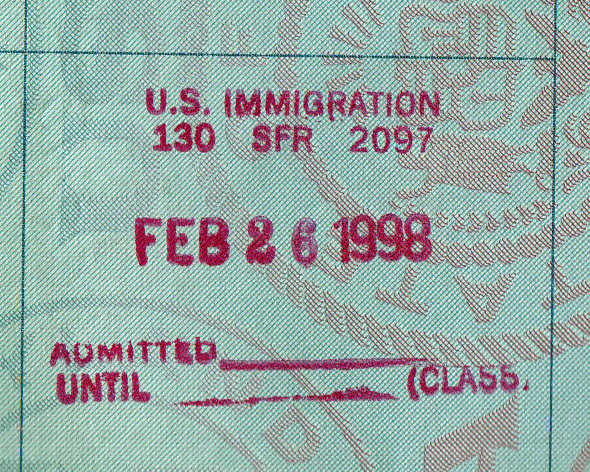 Back then US citizens could only stay for 1 month on a tourist visa, but this special visa from the Consulate allowed me 3 months. I have no recollection of how I finagled that. 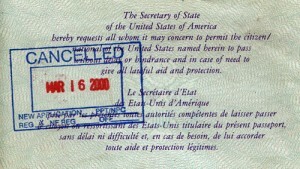 (Now regular tourist visas are good for 3 months.) The other thing going on here is that I had a chunk of extra pages inserted starting with page A. All those full-page China visas took up a lot of space. 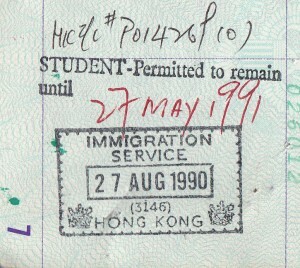 Here’s my date of entry in Hong Kong. 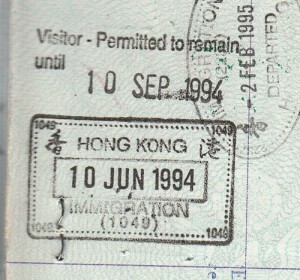 On the upper right is the stamp from when I left Hong Kong to first visit my future in-laws in central China. 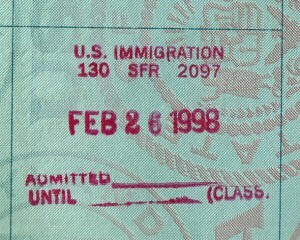 My passport was to expire in May 2000, 10 years after I received it. Before May rolled around, I left my husband, job, house, 2 cars, and most of my possessions to return to Chicago. And my passport? 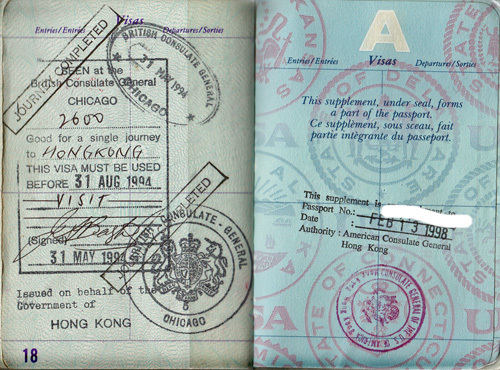 But your old passport does speak – it says volumes about both you and the times you lived in. In an age of biometric e-passports that are impossible to alter, your battered old paper one with inserted pages, stamped from places that have changed forever, is an important cultural and historical artifact. I’m glad you could share it with us. Thanks so much! Sorry for the delayed response. I don’t know how I didn’t see this before. 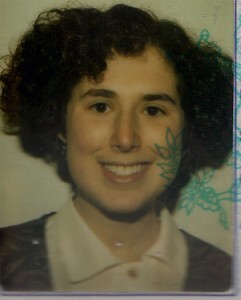 I’ve noticed that most visas to other countries all look alike now. Digital with holograms and the like. 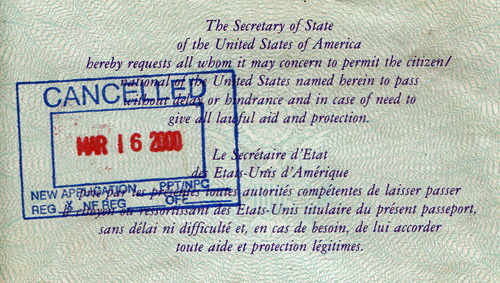 I am glad I found this passport. Now if I could only find my old HK ID card!